Hello everyone and welcome to my 2017 Year In Review post. First off I would like to say Happy New Year’s to everyone. I hope you all had a great year, and that 2018 is even better for you. For me 2017 was a big year for me. I say that because my mind set towards finance changed, I became more focused on improving my finances. You will see further on in this post what I mean when I talk about my 2017 goals. 2017 say me change jobs which pays much more than my previous one allowing me to invest and save more. Let’s get to the fun part me sharing my numbers with you. On January 1st, 2017 my Tax Free Savings Account (TFSA) had a value of $21,500.67 and as of January 1st, 2018 that has increased to $25,989.00 a gain of $4,488.33 or 2.1%. Not great appreciation but it’s a gain and I will attempt to increase this number this year. One area that I am really happy with with my TFSA is dividends received. Last year for the first time ever I crossed the $1k mark for this account growth stood at 54% on the year. If I can continue to get this growth I will be a very happy man. 2017 was a another good year for my Registered Retirement Savings Plan (RRSP) account. The value of the account and my dividends received both grew. As for value on January 1st, 2017 the account had a value of $77,148.68 as of January 1st, 2018 the value had increased to $84,694.00. An increase of $7,545.32 or 9.8%. My dividends continue to steadily march upwards in my RRSP. As you can see 2017 saw me focus more on adding to my existing positions in my RRSP. We are currently only 3 days into 2018 (When I write this) and I can say that this trend will probably continue this year as I don’t want to overstretch myself. I received a record amount of dividends last year, if you have been following my journey over the past year you know that it was my goal to reach $4k. I am please with my progress, my income continues to grow most of the time with little effort. I have an ultimate goal of wanting to receive at least $1k per month or $12k per year. Ladies and Gentlemen I love being a dividend investor. Why you ask? Well let me tell you once again I had a great year in terms of dividend increases form the stocks I own. In 2017 I received 20 raises plus 2 special distributions, together these have boosted my income by $377.67. Wowzers I love seeing that. Seeing that number should make me very happy but I was just a little disappointed. The reason for that is out of those numbers above only 2 raises and the 2 came from my TFSA account. 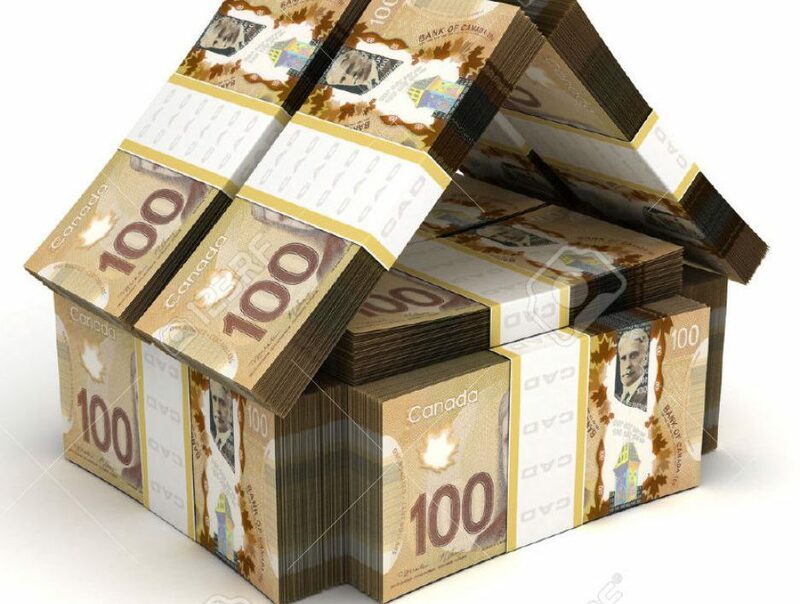 I need to see more increases from that account, in order to help improve my income growth in this account I added three new stocks Canadian National, Plaza REIT and Canadian Apartment Properties REIT who all have a history of raising their distributions. Last year I set 7 goals that were in the following categories personal finance, investing, blog and social media. I had very good success I achieved all but one of them. I am happy to report I was able to pay this off in April. It felt great not having to anymore towards this loan. The loan was used for investing purposes. In 2016 I withdrew $10k on my line of credit and invested it in my TFSA. When I began the year I only had $2,500 in the bank as an emergency fund I wanted to increase this number in case anything were to happy and I needed money. I am happy to say that as of January 1st, 2018 my savings had increased to $10,431.21. I am very very happy to say that we did it the blog had 16,268 page views for 2017. About halfway through the year I wasn’t sure I could achieve this goal but thanks to you I did. Thank you. Thanks to your tremendous support at the end of 2017 I had 41 followers. Thanks for following. This is the only goal I did not achieve and I’m ok with that. For one it’s not a financial goal. Second it was kind of a fun goal I wanted to see how many I could get. My followers have steadily grown. If you follow me thank you I appreciate it. Well folks that’s a wrap on my 2017. I hope you had a fantastic year. Please feel free to leave a comment below I always enjoy hearing from you. Congrats Matthew, looks like 2017 was a great year! Hopefully it continues for 2018! That is great Matt. Congrats on a fantastic year. The snowball keeps rolling and gaining momentum. The new job will only propel it faster. Nice job on all your goals too. Your twitter followers still are pretty impressive. All the best in 2018! Thanks buddy all the best to you in 2018 as well. I am very happy with my twitter follower figure even though I didn’t reach my goal. Looks like a solid year! Hope 2018 is even better for you. Quick question regarding your TFSA & RSP returns. Are you including the amounts of capital you injected? You said your TFSA went up 4,488.33 & your RSP went up $7,545.32 but also that you invested $5,606.09. Just curious if you are counting the capital you put in this year in your returns or not. Hey Jordan in regards to my returns the way I have done it the past couple of years is to just look at the value of the accounts on January 1 each year. I don’t do anything else I figure this is the easier way to do it. Definitely easier….Just have to be careful when looking at your % gains though…might think you had a great year when you were actually down, if you put a bunch of money in, ro vice versa. Oh ok thank you TwoInvesting I will check that out thanks. Great year, cheers to an even better year in 2018! Looks like 2017 was a great year for you, Matthew. Congrats and wishing you the best for 2018 and beyond. Thanks buddy. I hope you have a great 2018 as well. That was a fantastic year! Glad to see you took care of the loan and increased your emergency fund to 10K! Now you’re on the solid ground incase anything happens. In 2018 I also plan to add to my positions most of the time. I will see which companies can provide me with better valuations. Thanks I am really happy that I increased my savings just in case anything happens. All the best to you in 2018 can’t wait to read your posts this year. What a great year you had Matthew! Lots of success on the investing and blog fronts, that’s awesome. Here’s to even more wins in 2018. Thank you Sarah I hope you have a great year as well. Great Job Matt! Keep it coming, I’m sure your dividend goals for 2018 will all fall together nicely! Congratulations, Matthew — you’re doing great and it is good to see that you’ve hit most of your goals (and all of your financial goals!). Keep up the good work and happy investing in 2018! Thank you. All the best to you this year as well. Happy Investing. Great job setting and knocking out you goals! Fantastic 2017 for you! You smashed your goals in 2017! It’s been so great to follow along. Cheers to 2018! Thanks Penny. All the best to and the fam in 2018. Thank you. I would like to wish you a successful 2018 as well. Great 2017! You’ll have to set some harder goals this year. You crushed most of your 2017 goals! Well done. Thanks Scott yes I agree I hope my 2018 goals are harder to achieve than my 2017 goals. All the best to you in 2018. Six out of seven goals achieved, it’s definitely a successful year in my book. With a start of a new year, let’s raise the bar and try to stretch ourselves a little. Join me and set a goal to increase your net worth by at least 10%. Thanks Leo 2017 was very successful. Also I am going to try and increase my net worth by $50k this year. Not sure what the percentage is.